AI's report, "The Hidden US War in Somalia," officially published on March 20, finds that 14 civilians were killed in five airstrikes between October 2018 and February 2019 and separates those strikes into two categories: "The first category includes two incidents in which the US military appears to have targeted suspected Al-Shabaab members riding in vehicles, killing civilians near the targeted vehicle… The second category includes three incidents in which civilians were killed apparently either after being mistakenly identified as Al-Shabaab fighters or another lawful military objective, or incidentally in a strike against a lawful military objective." In the first category, AI notes that in two incidents, "it appears that US forces had ample opportunity to avoid civilian deaths and injuries, by taking feasible precautions, as required by IHL [international humanitarian law], including by carrying out the attack before the vehicle entered, or drove by, the civilian areas." 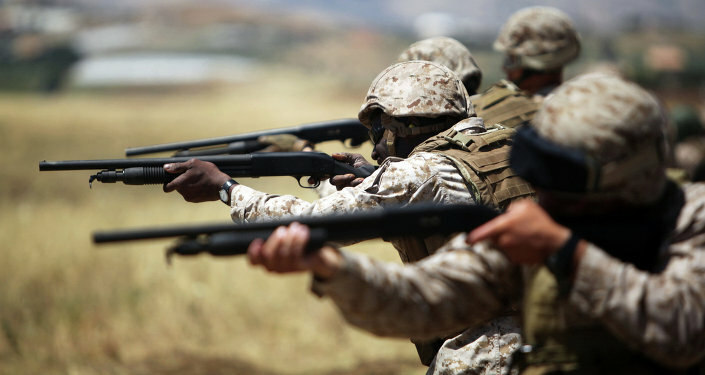 In the second category, AI says, "The misidentification appears to have occurred either because the target was wrongly identified as a specific individual or individuals or because the target was wrongly targeted by a ‘signature strike' where the victim's identity was unknown by US forces, but their actions, as viewed from the air, were perceived to fit a suspicious pattern of behavior." 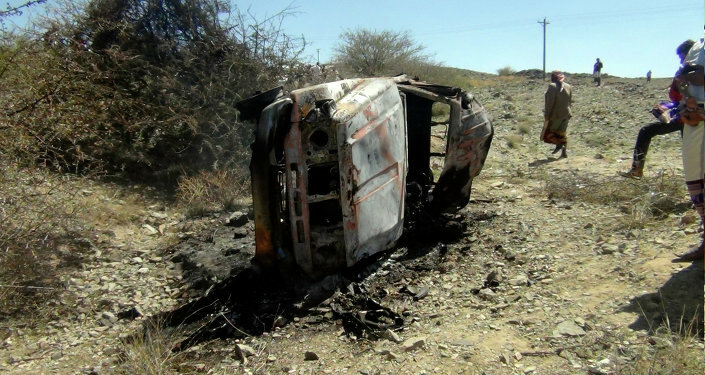 AI notes its findings are based on interviews with scores of witnesses and survivors from the airstrikes, all of which occurred in the fertile Lower Shabelle coastal region, which stretches from north of the capital of Mogadishu south to the Kenyan border. "AFRICOM goes to extraordinary lengths to reduce the likelihood of civilian casualties, exercising restraint as a matter of policy," US Africa Command, which is based in Stuttgart, Germany, said in a Tuesday statement. "We take all allegations of civilian casualties seriously regardless of their origin," AFRICOM said. The command claimed that during the period covered by Amnesty International's report, "Our assessments found that no AFRICOM airstrike resulted in any civilian casualty or injury." "AFRICOM complies with the law of armed conflict and takes all feasible precautions to minimize civilian casualties and other collateral damage," the statement continues. "We have processes in place to ensure the safety and protection of the local population remains a top priority. These procedures, combined with precision strike capabilities, safeguard civilians and infrastructure." "Following an airstrike, AFRICOM conducts additional analysis to ensure the military objectives were met and that there were no civilian casualties." However, these claims run contrary both to moves by the Trump administration and statements made by AFRICOM commanders. 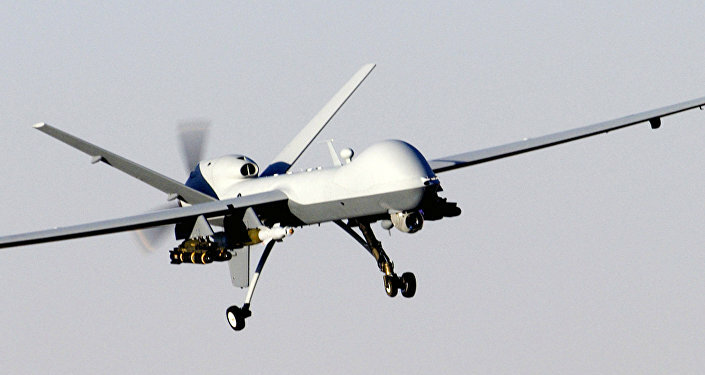 While the US' undeclared war in Somalia has been raging for decades, only in 2013 did the Obama administration establish rules for the use of drones in the East African nation. President Barack Obama's standards required "near certainty" of the target's presence, as well as the absence of potential civilian casualties, before a strike could be authorized, Sputnik reported. However, in March 2017, the New York Times reported that incoming President Donald Trump had changed these standards to require merely a "reasonable certainty" of the presence of al-Shabaab fighters. The new standards take no account of potential civilian casualties. In fact, former US AFRICOM commander Brig. Gen. Donald Bolduc told the Daily Beast that the US military presumes that everybody it kills are enemy fighters until protests are raised by journalists, governments or nongovernmental organizations. "The only assessment we have is we continue to fly over the objective post-strike to get a sense of the environment from the air," Bolduc said last November. Further, the Trump administration moved this year to make the US war in Somalia even more opaque. Trump said at his first Cabinet meeting of the year in late January that the Pentagon would no longer furnish public records on its missions in Somalia, Sputnik reported. Then in March, Trump revoked Section 3 of Executive Order 13732, which requires the Director of National Intelligence to release an unclassified summary of US airstrikes in undeclared war zones, including assessments of combatant and non-combatant deaths caused by those strikes, each May 1, Sputnik reported. Undeclared war zones are those where the US military is authorized to carry out certain operations against "associated forces" of al-Qaeda or the Taliban by the 2001 Authorization of the Use of Military Force (AUMF). These include Somalia as well as Pakistan and Yemen; Libya was recategorized late last year from an undeclared war to the status active warzone, placing it alongside Syria, Afghanistan and Iraq. "There has never been any reason to believe that the US numbers are accurate because there has been little, if any post-strike investigation," Leah Bolger, a retired US Navy commander who is now a peace activist with World Beyond War, told Sputnik Wednesday. "The Pentagon literally does not know who they are killing. Under Obama's order, they had to report something, even if wildly inaccurate, but since Trump has rolled back this minimal requirement, the Pentagon has no reason to even try to keep track," Bolger said. "To make matters worse, all of these strikes are in violation of the US Constitution which requires approval by Congress to engage in combat." In other words, there's nothing to support any of AFRICOM's claims of zero civilian casualties or even to suggest that it would be aware of how many civilians US airstrikes might have killed, much less to definitively refute Amnesty International's claims of documented civilian deaths.